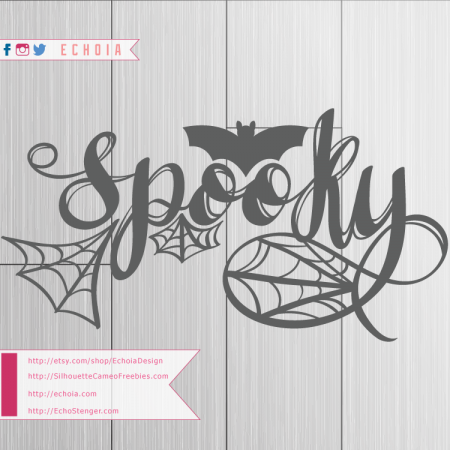 Being the compulsive people-pleaser that I am, I proudly present you with our latest, Spooky, a hand-lettered/digital-calligraphy cut file full of Hall-o-weeny spirit. I hope you like it, and I’ll see you back here soon for another cute cuttable! If you are going to be using it for products you sell, please purchase the license from my Etsy shop, EchoiaDesign on Etsy. Go to this file directly: Spooky Hand Lettered Cut File. Silhouette Cameo Freebies files are for personal use only.